A nonprofit, professional organization founded by artists, expressive arts therapists, and educators from around the world, aiming to inspire, stimulate, and support the creative and artistic spirit. Deborah is on the Board of Directors. IEATA has a comprehensive list of degree programs and trainings. Dedicated to celebrating the connection between arts and healing. Their website is an international resource for anyone interested in the healing potential of art, especially environmentalists, social activists, artists, art professionals, health care practitioners, and those challenged by illness. an association of artists who work with images that arise from the depths of the human psyche. A non-profit organization dedicated to promoting the incorporation of the arts as an integral component of healthcare by demonstrating the valuable roles the arts can play in enhancing the healing process. The AATA is an organization of professionals dedicated to the belief that the creative process involved in art making is healing and life enhancing, Its mission is to serve its members and the general public by providing standards of professional competence, and developing and promoting knowledge in, and of, the field of art therapy. This is not comprehensive list. We hope to develop a fuller list. SEARCH THE ONLINE COMMUNITY FOR SOMEONE IN YOUR REGION. 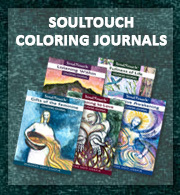 Creating with the Soul, MaineHelen Warren brings over 30 years of experience as a teacher, facilitator, healer, painter and printmaker. Deborah teaches a Touch Drawing class here. A center to all forms of art and its use for personal and community healing. L.I.F.E. Energy Counseling offers training in Voice Dialogue facilitation for clinicians and consultants. Everything in nature, from molecules to galaxies to ourselves, is formed according to a blueprint or archetype. These energy circuits open up a much-needed dimension in healing at this time. Inspired by Carl Jung and Rudolf Steiner, Spiritual Archetypes have been called the healing of the 21st century. Gaila offers profound private sessions and trainings towards Certification. Located on Whidbey Island in Washington State, the Tahoma One Drop Zen Monastery cultivates the practice of mindfulness in life and work. The Monastery maintains a daily schedule of morning and evening meditation, weekend retreats once a month and intensive meditation training twice a year. Members support the local community by providing respite retreats for caregivers and the operation of a home for the dying. Enso House is a home for people of all faiths who desire comfort care at the end of life. Located in the Pacific Northwest and surrounded by the fields and forests of south Whidbey Island, Washington, Enso House provides a peaceful setting conducive to reflection, meditation and spiritual healing. Many staff members are affiliated with the nearby Tahoma One Drop Zen Monastery. One of my goals as a photographer is to share with people the beauty in even the smallest details of nature and to inspire others to look more closely at the world around us. My primary interest and work is about flowers, particularly close-up or macro photography. These photographs attempt to display not only flowers as a whole and in context, but also the inner details that are not often seen. Penny Bauer’s black and white photographic project seeks to provide a circle of elders from different cultures whose hands offer gifts of support as we pursue our dreams. It has been her great pleasure to collaborate with these wise men and women in the creation of the gifts now being offered to you through the website, prints, and cards. A Quarterly Journal Exploring Dreams ~ The goal of this esoteric organization is to demystify dreamwork and help individuals benefit by learning how to understand the meaning of their dreams. Valuable articles, resources and connections are provided in each issue to further this goal. is a maverick healer who uses movement, sound, gardens, books, quilts and a variety of other ‘enjoyments’ in her practice of balancing body, mind and psirit. Brooke Medicine Eagle is a Native American metis – an Earth wisdom teacher and catalyst for wholeness, ceremonial leader, sacred ecologist, Feng Shui practitioner, and author of Buffalo Woman Comes Singing. The purpose of this website is to give you more information about the Cultural Creatives. We wrote a popular book that tells their story: what their culture is like, who they are as individuals and how they live, where they came from, and what they’re creating now. It’s called “The Cultural Creatives: How 50 Million People Are Changing the World” (Harmony, 2000). An arts program for homeless children founded and directed by Gloria Simoneaux. Wtih paints, crayons and clay, children are able to tell us about their lonely and tenuous world. Founded by artist Rob Schouten and poet Victory Lee Schouten, Great Path publishes extraordinary art products and an added poetry line. Their vision is to provide art and poetry which offers connection, inspiration, and beauty to our world community. Lorian’s work is based on exploring and articulating new paradigms of spirit, in particular those involving a spirituality of incarnation which honors the value and power of our personhood. We look for ways that can renew and energize a co-creative relationship with the sacred, with spirit, with earth, and with each other. Deborah is ordained as a minister of Incarnational Spirituality through Lorian. New Stories is a nonprofit corporation established in Spokane in 2000 to work in a wide variety of ways with people to help them create the new stories in their lives.Our hope is to draw attention to the fact that large numbers of people have a new dream. And to help people make their dream a reality. is an education and service company. The core of our work is an original group process methodology, PeerSpirit council. We believe council, or circle, to be the common root of all cultures, a tradition that can take us from the campfire to the future. Council facilitates a level of conversation that allows groups of people to accomplish goals through an integrated experience of heart and mind. Provides enticing, person-centered environments where people can awaken their creative juices and discover their soul or spirit through all media. Of particular interest is incorporating the expressive arts in cross cultural work and conflict resolution. Sacred Spaces – Toni Sar’h Petrinovich, Ph.D.
Offers renewal of the mind, body and spirit. Emphasis is place on empowering you to take the journey home to the center of our being. This ultimate journey heals, creates peace within and allows you to know and feel what you essentially Are. 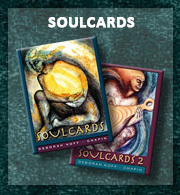 Programs provide a connection to the greatest untapped resource of humankind, the soul, and include workshops called Soul Recognition, a deep and profound experience of re-birth, re-union, and re-awakening. Superclown is dedicated to giving children a place to express themselves freely and openly. Using the vehicles of sacred song and dance, Anahata Iradah and Prema Dasara have traveled throughout the world, dedicated to inspiring and uplifting everyone who joins their circle of inspiration. Prema, working within the Tibetan Buddhist Mind Training tradition, and invoking her special connection to the great Mother Tara and Anahata, with her gifts as a musician and seior leader of the Dances of Universal Peace have an active teaching schedule and wide range of inspirational items to support the practices they teach. 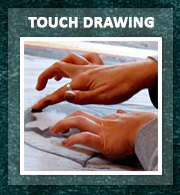 This is the location of the Annual Touch Drawing Gathering. This site features the work and writings of Dr. Cat Saunders, longtime counselor and author of Dr. Cat’s Helping Handbook (available at bookstores, Amazon.com, or discounted at <http://www.drcat.org>). The site includes information about Dr. Cat’s counseling practice and telephone consultation work; her “Rent-A-Monk” prayer service; online reprints of published articles and interviews; and a section devoted to her controversial series of articles on death. The mission of Art Against Depression and Anxiety (Art-A-DAY), a non-profit, non-government organization from Belgrade, Yugoslavia is to provide spiritual, educational, and marketing support to art creation of people who suffer from developmental and adjustment-related problems, such as major and/or moderate depression, anxiety and panic disorders and other forms of mood disorders. English Translation available. designs and manufactures movement and sensory integration tools for exercise, movement therapy, body image and group therapy. Founded by Julia Butterfly Hill, the young woman who sat in an old growth tree for 2 full years, this organization activates people through education, inspiration and connection to live in a way that honors the diversity and interdependence of all life. We believe the you, yes you, make the difference in the world. Dancing colors are danceable, colorful scarves that are are used by village children in Nicaragua, adults living with HIV in Boston and Serbs and Croatians healing from war in Bosnia. They fly in all fifty states and over forty countries thanks to the dedication and creativity of the artists, educators, therapists, liturgists, health care professionals and corporate trainers who use them. The watering hole for spirit on the web, and the best spiritual bookstore on the continent. Founded by renowned primatologist Jane Goodall, JGI is a global nonprofit that empowers people to make a difference for all living things. We are creating healthy ecosystems, promoting sustainable livelihoods and nurturing new generations of committed, active citizens around the world. The way of trust and transformation, this site highlights the artwork and vision of Jerry Wennstrom, the music of Marilyn Strong. We are an award-winning firm known for designing wonderfully scaled and richly detailed buildings and gardens. We take joy in designing places for people that are both functional and beautiful. Our work shows that neighborhoods, buildings and outdoor spaces can be alive and vibrant, authentic and soulful. We strive to create places that nourish the individual, support positive family relationships, and foster a strong sense of community. Deborah’s husband, too! Specializes in teaching children and adults the beauty of fine art and wishes to bring back the arts into the world. Friends of OPEN HOUSE forges links among North American supporters of OPEN HOUSE, a Jewish – Arab community center in Ramle, Israel. OPEN HOUSE was established in 1991 to strengthen relationships between the Jewish and Arab citizens of this mixed city, whose demographics reflect the population of Israel as a whole. Ragananda – Earth’s First Chakra doll! Ragananda’s musical stories and meditations for children create a safe world for them to explore their own expanded self. Visit Ragananda and her friends at www.HeartWithWingsTheatre.com for lots of surprises and free downloads! Katheryn is an artist, teacher and inspiratrice. She explores and integrates the dance of paradox: dynamic calm, powerful vulnerability, “ugly” beauty, sacred mundane, active surrender. Her work is guided by connection to the web of life and to dreams. She is a stand for creativity, laughter, presence and passion. A global movement to harness the power and wisdom of women for the benefit of all life. It provides structure that can support and connect women worldwide. Herbal Medicine and Spirit Healing the Wise Woman Way. Plenty of articles, resources and links. Information on Susun Weed’s workshops, intensives, apprenticeships, and corresondence courses. The Women of Wisdom Foundation is an internationally recognized organization created to provide diverse and innovative programs that offer women opportunities for personal growth and transformation. A non-profit organization dedicated to using art to help end domestic violence. Focus is on providing the art process as a recovery tool for battered women and children in the shelter setting. Through creative expression, battered women and children recover a sense of renewal and power. Publishes an annual lunar calendar which is a handbook in natural rhythm and comes out of the international womyn’s culture. Ambient Music for Massage, Relaxation, & Meditation. Detaching The World Vol 1 is music for peace within your soul. May the gift of this CD provide the space and atmosphere you need. Feel the layers of your body release tension with the textures of the music. Multiple award winning music that integrates natural sounds; numerous albums. Serving the Ozzy Klate Memorial Fund, offers the CD “The Muse at the Edge of Forever,” a powerful healing musical journey through the broken heart of sorrow, beyond the gates of fear, into the tranhscendent radiance of the spirit. 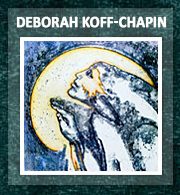 With images by Deborah Koff-Chapin ispired by the songs. Music’s ability to unite, heal and act as a catalyst for positive change is celebrated in songs created by the “Gypsy Funk” band SisterMonk Harem. The very make up of the group – embracing world, jazz, rock, classical and folk musicians speaks to the band’s interest in creating culturally varied and spiritually nurturing music. Contemporary instrumentalists, Eric Tingstad and Nancy Rumbel won the GRAMMY Award in the New Age category in recognition of “Acoustic Garden” during the 45th GRAMMY Awards in Madison Square Garden. This GRAMMY signifies and rewards an eighteen-year career and 13 collaborative recordings for Tingstad and Rumbel. If you’d like to add a link to our web site from yours, you can create either a graphic link or a text link. If you place the image in a different subdirectory than the one containing the linking code, include the path in the IMG SRC= parameter, above.